WPML turns WordPress websites multilingual. It works with caching, SEO and E-Commerce plugins, and allows the building of complete multilingual sites. 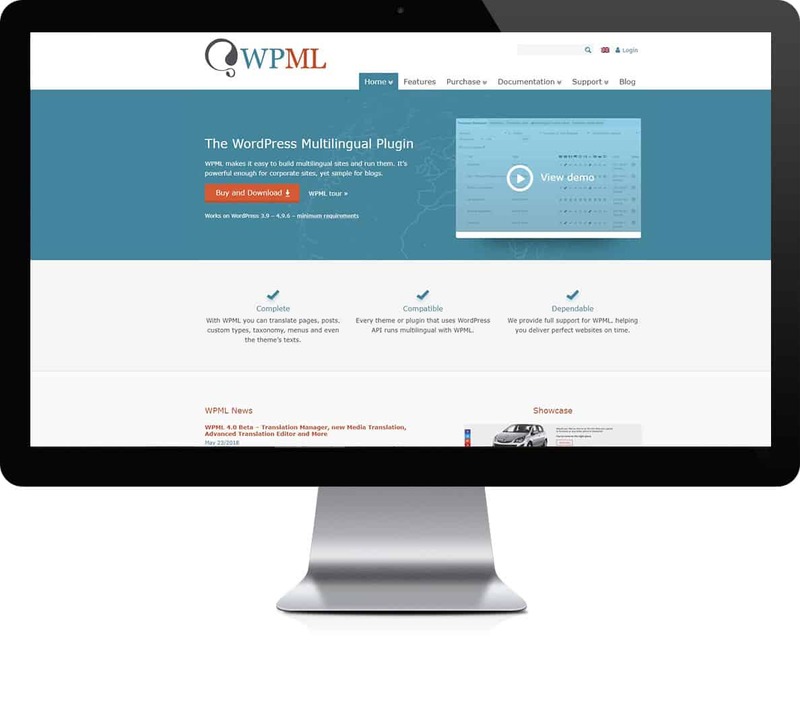 WPML powers simple blogs as well as corporate and enterprise sites. WPML is fully compatible with leading page builders and works great with the upcoming Gutenberg editor. WPML allows users to translate everything in the site, including content, menus, widgets and even theme and plugin texts. WPML powers over 500,000 commercial websites from all over the world. More information about going multilingual can be found at: WPML Website.